The growing demand for sports and adventure activities primarily drive the growth of the off road motorcycle market. The rise in disposable income and improving living standards encourage consumers to take part in adventure activities, supporting the growth of the market. There has been an increasing demand for these bikes from the defense sector owing to growing defense budgets and increasing applications. The growth in off road motorcycling events and initiatives by private organizations to promote biking activities has accelerated the adoption of off road motorcycles across the globe. Other factors driving the off road motorcycle market include technological advancements, increasing demand for electric motorcycles, and rising tourism activities. Growing demand from emerging economies, and increasing adventure activities are factors expected to offer growth opportunities during the forecast period. The global off road motorcycle market is segmented on the basis of type, distribution channel, application, and region. Based on type, the market is segmented into Dual-Sports, Adventure Bikes, Raid Bikes, Motocross, Trial Bikes, and others. On the basis of distribution channel, the market is segmented into OEM, and Aftermarket. The OEM dominated the global off road motorcycle market in 2017. The application segment is categorized into recreational, and defense. The recreational segment dominated the global market in 2017 owing to increasing trend of adventure sports, and rising disposable incomes. 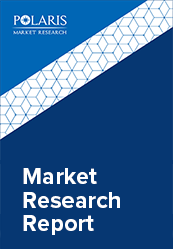 The off road motorcycle market report comprises a detailed geographic distribution of the market across North America, Europe, Asia-Pacific, Latin America, and MEA. North America is further segmented into U.S., Canada, and Mexico. Europe is divided into Germany, UK, Italy, France, and Rest of Europe. Asia-Pacific is bifurcated into China, India, Japan, and Rest of Asia-Pacific. North America accounted for the largest share in the global Off road motorcycle market in 2017. The increase in tourism activities in the region, along with growing trend of adventure activities supports market growth. The initiatives taken by private organizations to promote biking and adventure sports further fuels market growth. The leading players in the off road motorcycle market include Husqvarna Motorcycles GmbH, TRS Motorcycles, Kawasaki Motorcorp, Alta Motors, Chritini Technologies, Ural Motorcycles, KTM AG, BMW Group, and ROKON International Inc. among others. These leading players in the market are introducing innovative products in the market to cater to the growing demand of consumers. Global players are entering new markets in developing regions to expand their customer base and strengthen market presence.